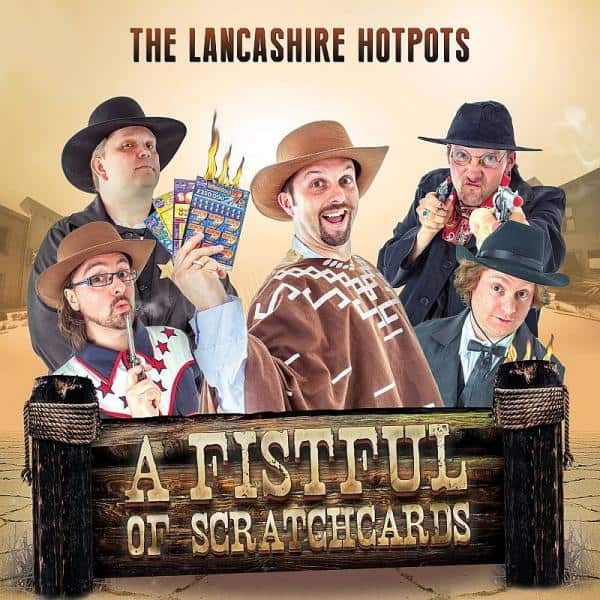 Listen up cowboys and girls, The Lancashire Hotpots are donning their stetsons to bring you 'A Fistful of Scratchcards' their first foray into the world of country and (North) western. Expect all the usual Lancashire laughs with songs about all you can eat restaurants, blue disabled badges and far away call centres but with a unique country twang. If you like a rootin' tootin' hoe down, this ones for you. Yee haw!